Alex Vallings must be pretty happy with himself. 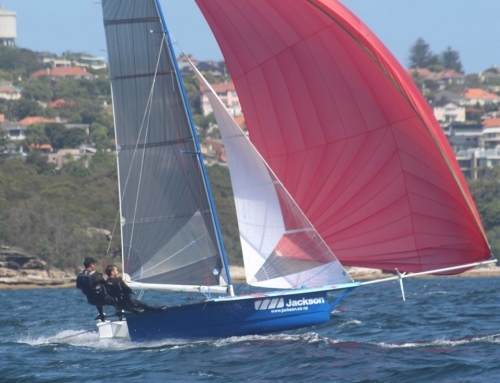 He has teamed up with long time sailing pal Fraser Brown and now the two of them have three bullets under their belt at the 2016 12′ Skiff Interdominions hosted by Auckland Skiff League. Without any practice, Vallings and Brown hit the water and have not only won the invitation race, but the first three races of the series. So technically it’s four from four, but the invitation race doesn’t count for the overall result. Prior to racing today, the fleet had a pretty big dilemma on their hands. Which rig to choose?! Auckland was meant to see some serious breeze, but no one knew if it would show up early or late. Was it going to be the fourth rig or the the second or third? Finally the fleet went with the third. Race 2 was dominated by C-Tech. Others showed up as well, but Valling’s and Brown nailed it. Race 3 didn’t get underway until 1619 hours after a big wind shift forced the race management team to change things around. The easterly change was bringing some of the breeze and it was lucky that the fleet was running with number 3 rigs. 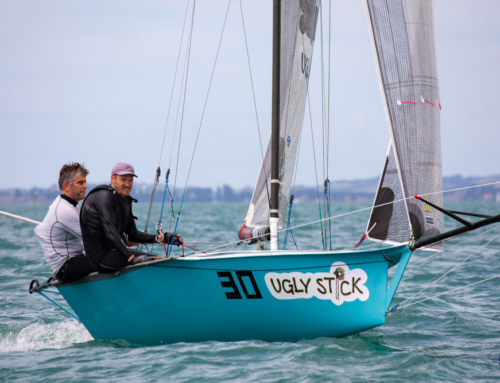 Unfortunately for Ugly Stick (Simon Ganley & Oliver Scott Mackie) they were forced to their second rig after putting a slight tear in their number 3 kite. C-Tech won. Racing continues again tomorrow, Tuesday 5th January. Same time, same place. Then the sailors will get a well deserved day off on Wednesday before continuing to tear up Auckland Harbour on Thursday. Is there anyone who can knock C-Tech off their perch? Come on lads. Sail harder!